Plus, Dominica Rice-Cisneros wants to lift up women chefs. Saigon Deli Sandwich & Taco Valparaiso co-owner Tony Torres. For the past five years, Saigon Deli Sandwich & Taco Valparaiso (1400 14th Ave., Oakland) has been one of those quintessential "Only in Oakland" businesses — a taqueria located inside a banh mi shop, marking the happy marriage between two of The Town's most beloved cuisines. It was the only place in the Bay Area I knew of where you could order an al pastor banh mi or shrimp a la diabla served with the accoutrements of a Vietnamese rice plate. Sadly, now I don't know of any: Last week, Saigon Deli Sandwich closed for good. It has been replaced by a different Vietnamese restaurant, co-owner Tony Torres told the Express. 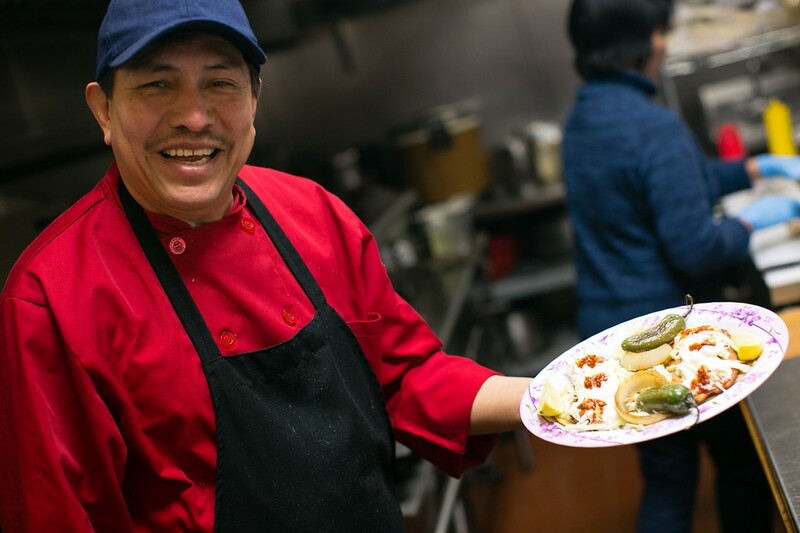 Torres explained that his business partner Dieu Ngo, who made all the banh mi and other Vietnamese dishes, had been having some health problems and decided to sell the business. Apparently, Torres tried to talk her out of it, but Ngo was the one who held the lease and ultimately went ahead with the sale — to another banh mi shop called Mom's Bun Mi, which opened for business last week. According to Torres, the owners of Mom's Bun Mi, which appears to be a transplant from San Francisco's Tenderloin District, at first seemed open to continuing some version of his arrangement with Ngo. Eventually, though, they had a change of heart. When I swung by over the weekend, the staff simply confirmed that there had been a change in ownership and that the restaurant was not, in fact, selling tacos anymore. It has been a tough several weeks for Torres, whose gregarious manner was one of the major contributors to the restaurant's popularity. He said the lease for his other taqueria in Gonzales, in Monterey County — the original Taqueria Valparaiso — was under his daughter's name, and that she, too, had recently sold the business. For now, anyway, Torres is without a place to call his own. 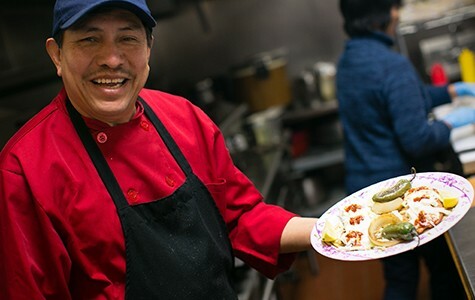 But while Torres isn't sure if he'll continue making the Vietnamese fusion dishes that became the Saigon Deli's hallmark, he said he's doing everything he can to at least bring his tacos back to Oakland. His dream is to sell tacos to Oakland schoolchildren and to donate a percentage of his profits back to the schools. First things first: Torres said he's trying to find a small space in the Oakland area where he can set up shop. He has been having a hard time, though. "It is really expensive," he said. Word is only now starting to trickle out about the presentations at the MAD Symposium, a gathering of the world's foremost chefs, farmers, and other food-world luminaries, which took place last week in Copenhagen, Denmark. The broad theme of this year's symposium was "Tomorrow's Kitchen," and the select group of culinary leaders who attended were asked to consider questions such as, "What do we hope our kitchens will be like in the future?" Dominica Rice-Cisneros, chef-owner of Oakland's Cosecha (907 Washington St.), kept coming back to the same answer: In the future, she hopes to see more women running restaurant kitchens — and, even more importantly, to see those women getting the personal and professional support they need. At last week's conference in Copenhagen, Rice-Cisneros led a small-group discussion panel about the challenges that women in the restaurant industry face, using data provided by the Restaurant Opportunities Center, a national nonprofit that advocates on behalf of restaurant workers, as a jumping-off point. Of particular note: the lack of affordable childcare and the way that shifting restaurant schedules — with some 40 percent of restaurant workers in one survey saying that their schedule changes every week — have a disproportionate impact on restaurant workers who are mothers, many of whom are also immigrants and/or people of color who already face a variety of other obstacles. Indeed, Rice-Cisneros said this is why a lot of female cooks wind up taking a step back from their careers when they have kids, perhaps working as personal chefs instead of pursuing more prestigious executive chef positions. At her own restaurant, Rice-Cisneros said she has a lot of cooks who have kids and only work day shifts — and she doesn't force them to work overtime. She left the MAD Symposium with a commitment to encourage other successful restaurateurs to support and mentor their female cooks: to provide them steady schedules and childcare vouchers, and to help them take the next step toward running their own restaurants. A couple of concrete ideas: providing free English classes to immigrant cooks and introducing young female restaurateurs to farmers and other purveyors that they might not know. Rice-Cisneros credits her own daughter for insisting that she go home from Cosecha at 4 p.m. three days a week, allowing her to spend that time to do the "regular mother-daughter thing." It has been a huge benefit to her own work-life balance — and it's something she'd like to help other women in the industry find as well.